If you pay attention you can see the Crown is on airbags and in this way prevents it from making the scraping sounds that the Y30 is making from 0:12 onwards! 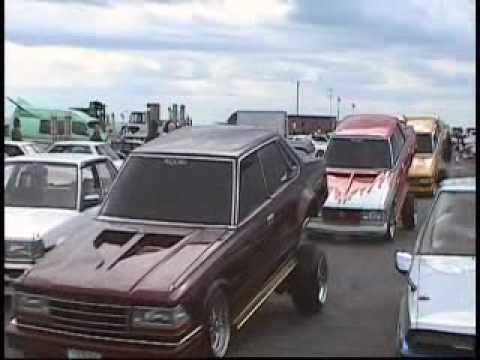 Also in the background you can see yesterdays Hot or Not Soarer by Team BYD! The Nissan Gloria Brougham Y30 only had one model above it: the Brougham VIP! This particular Gloria Brougham was made more luxurious by adding a set of SSR Mk Is, a side exhaust, a big wing on the trunk and let’s not forget the tsurikawa in the rear for added passenger comfort! Jan 21st Video: Y30 times three! 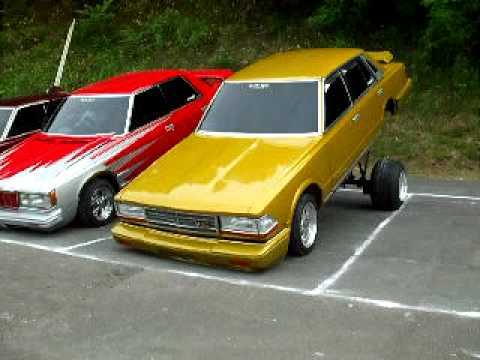 Something not TAS 2010 related this time, but surely a lot of fun to watch: three times a Nissan Gloria/Cedric Y30 modified in the Team Madonna way! The first two are known to be made by Team Madonna, but the origin on the third one is unknown. The pictures are dated back to 1982 and as you can see a lot of the cars are (almost) brand new! 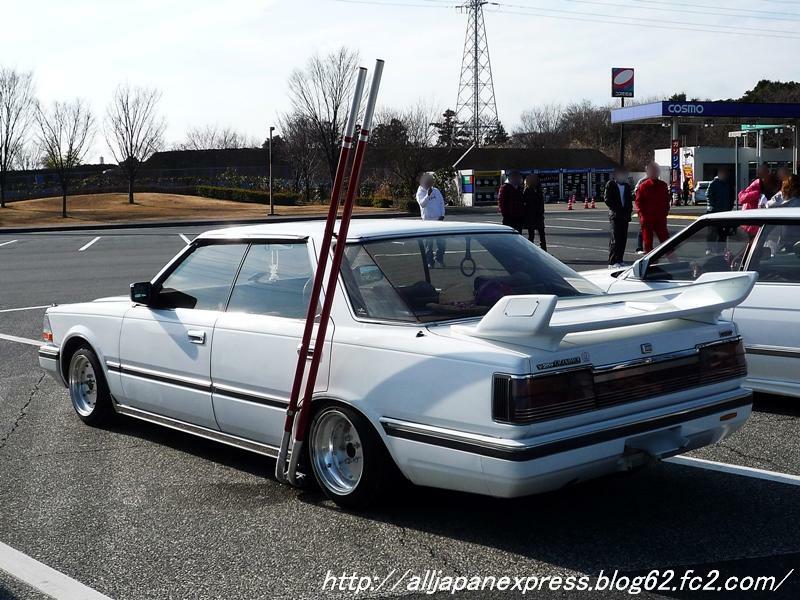 I see some R30 Skylines, Silvia/Gazelle S110 and Gloria Y30s! Can you imagine hacksawing your brand new Toyota Mark X, Nissan GT-R or Mitsubishi EVO X? Yes I can!